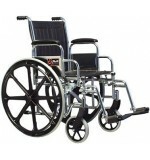 We offer the largest variety of wheelchairs in different styles, colors, sizes, and weight limits in Chandler. From brand new, to used wheelchairs or transport chairs, for purchase or rentals. Call us for our full list or come on in to see our showroom. 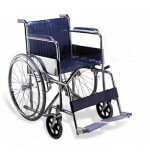 We offer a great amount of wheelchairs and transport chairs for rent, for young adults to bariatric patients. Come visit our showroom today, or call and ask about our same day wheelchair deliveries. 18" E&J Metro IC4 - Flip BK Desk Arm W/SA Each ..